By David Proffitt on October 10, 2015 12:31 PM | Link to this comment. 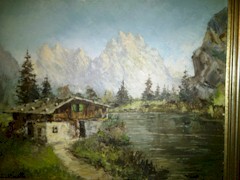 My parents gave me a C. Proietto painting from the 1950''s. 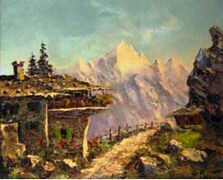 I believe they said it was called "The Three Sisters" I was going to dispose of it, but not sure if it has value. It does have some damage.